Studying Medical Science at the University of Leeds will equip you for a wide range of medical and science-related careers. You’ll explore core biomedical subjects such as anatomy, physiology, pharmacology and neuroscience, with teaching from expert researchers in world-class facilities. 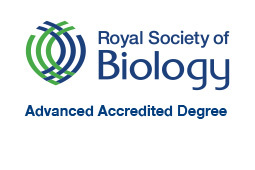 On this undergraduate degree you'll gain an integrated knowledge of the human body; how it works in health and disease and of current biomedical science techniques and methodologies. Our integrated Masters offers you an additional year of specialist training. You’ll undertake an extended research project and study advanced medical sciences topics. Medical Sciences studies the science of human beings, from the level of molecular activity inside cells to the holistic behaviour of individuals. 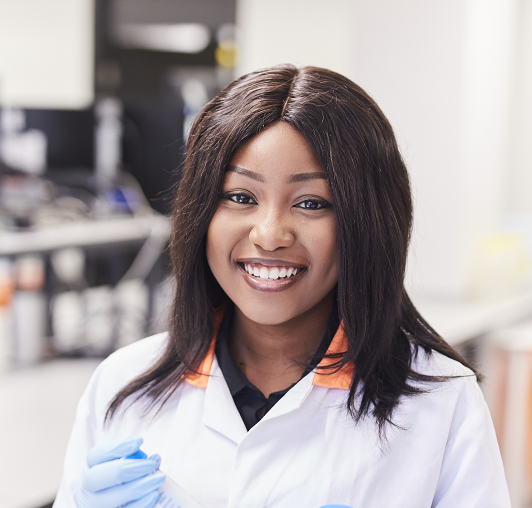 If you’re undecided about which degree to study, but know you're interested in Biomedical Sciences, our Medical Sciences degree is designed to give you a broad foundation as a scientist. Develop your skills through practical training in specialised laboratories, including hands-on anatomy. A wide range of research-led optional modules includes Principles of Drug Discovery, Molecular Neuroscience, Cellular Cardiology and Neuropharmacology. This course equips you with a wide range of knowledge and also transferable skills. It’s a sensible choice if you know you’re interested in biomedical subjects but do not want to decide on specialisation, at least in the first year. In Year 1, you’ll be introduced to the range of topics making up the medical sciences. This will include basic anatomy, physiology, microbiology and pharmacology, as well as endocrinology and neuroscience. You’ll also develop the fundamental laboratory skills and techniques that will underpin the rest of your studies. It may be possible to transfer to Pharmacology, Neuroscience or Human Physiology after Year 1 (subject to academic approval). In Year 2, you will receive more detailed exposure to the systems of the body. You’ll study core modules that will build on your knowledge. These are taught in an integrated way that brings together normal structure and function with changes in disease and treatment. You’ll have a range of optional modules to choose from, including human diseases, toxicology and bioinformatics, and develop your understanding of research methods and experimental skills. You will further develop your critical reasoning skills, and learn how to apply your knowledge to evaluate scientific evidence. You’ll also choose one area to specialise in from pharmacology, neuroscience, physiology and medical sciences more broadly – a pair of modules will allow you to study this area in greater depth and gain specific experimental skills. The degree offers the opportunity to apply for an industrial placement or study abroad year at the end of Year 2, which will help broaden your experience, enhance your skills and improve your employment prospects. In Year 3, you’ll choose research-centered modules that build on topics that interested you in earlier years. ‘Advanced Topics’ modules in particular allow you to choose from a menu of different research topics so you can focus more on your areas of interest. You can also choose specialist modules such as cancer biology or biomedical nanotechnology. Much of the year will be focused on your own research project. Your research will concentrate on a completely original topic in the subject which will allow you to explore our latest research breakthroughs with leading academics in our specialised laboratories. For those whose career path is not into laboratory-based biosciences, a variety of different project types is available to help you to develop professionally-relevant skills. In Year 3 you’ll study compulsory and optional modules, a literature research project and a research preparation module that will underpin your final-year research project. In Year 4 you’ll undertake an extended research project in an original topic while exploring specialised research topics and skills. This is complimented with Masters level modules that will prepare you for a career in research as well as equipping you with the cutting edge expertise needed in the general graduate job market. Advanced Higher: 5 x Highers AABBB, with AA-AB in 2 Advanced Highers including Biology and another science or science-related subject. General Studies and Critical Thinking excluded. We accept the following science subjects: biology, human biology, chemistry, mathematics and physics.Science-related subjects: geography, PE, psychology, use of maths and statistics. Many students go on to postgraduate entry medical or dental courses, while other graduates further develop their research skills by doing a PhD. The Medical Sciences degree is also attractive to those who envisage careers related to healthcare or medical research. Examples include laboratory or clinical research, management in healthcare organisations and diagnostic roles (including the NHS Scientist Training Programme). Within the pharmaceutical industry, our graduates are involved in roles ranging from research and development of new drugs to clinical trials and medicines safety. With a strong focus on wider skills such as data handling, problem-solving and communication skills, our graduates are also well equipped for a range of other careers. If you choose to undertake a study abroad option, you will spend the third year of the your course studying abroad. This will extend your studies by 12 months. Industrial placements are typically taken between your second and final year. If you choose to undertake a placement year, this will extend your studies by 12 months. For your work placement, staff at Leeds will help you with your CV and application letters and provide a list of organisations which may offer industrial placements.